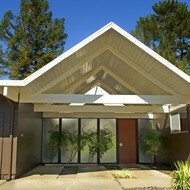 Between 1955 - 1966, Eichler Homes, inc. built more than 1,550 Eichlers in the city of San Rafael, California. 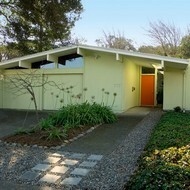 These Eichler homes in San Rafael represent the largest concentration of Joseph Eichler homes in Marin County. 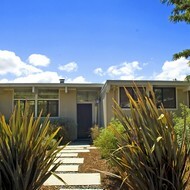 San Rafael Eichler homes can be found in four different neighborhoods. These San Rafael Eichlers are easily distinguised by their neighborhood location, year built, floor plans and rooflines, and price points. A brief summary of each of these neighborhoods is presented below. Aditionally, please visit my Marin Modern website for additional information regarding San Rafael Real Estate, San Rafael schools, and other Modern Homes in San Rafael. For more detailed information regarding each San Rafael Eichler tract, simply click on the corresponding neighborhood link. 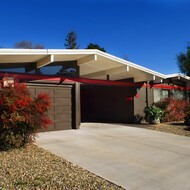 Contact Renee Adelmann - Realtor, San Rafael Eichler Homeowner, and #1 Agent for Sold Eichler Homes since 2007 - for assistace buying or selling a San Rafael Eichler or any Eichler home in the San Francisco Bay Area.